Faster is better. That is true in many areas, whether it’s cars, service, or networking. Specifically in networking, faster communication means more data can be transferred in a set amount of time. It also means that a set amount of data can be transferred in a much shorter period of time. These are both situations we run into when planning data center networks. Today, we’re seeing the beginning of 100Gbps Ethernet adoption rolling out. Thanks to the acceptance of newer physical interface components it’s much easier to build a 100Gbps link than it was years ago. When the standard links were 10Gbps, we bundled four of them together to get to 40Gbps. We had to bundle eight of them together and make them run a bit faster to get to 100Gbps. But with the advent of 25Gbps links, we can go back to bundling 4 of them together to get to 100Gbps. But what does it mean as we begin to develop past 100Gbps? Andy Bechtolsheim on the 400 Gigabit Landscape from Stephen Foskett on Vimeo. This video is talking about something I didn’t think was going to be coming for another few years. 400Gbps Ethernet. Super fast data center connectivity. I think back on my first steps deploying 10Mbps and 100Mbps Ethernet at the beginning of my career and I laugh. I could never have imagined the kinds of speeds that we’re talking about today. Yet, technology marches on and it’s going to march us quite a bit faster by 2019 if Mr. Bechtolsheim is right. I love the ingenious way that optical developers are building on the work they did with 25Gbps and 50Gbps to use as a stepping stone to get to cheap 100Gbps and 200Gbps. By solving the riddle of making the individual channels faster, they’re helping us bundle them together to get to higher speeds much faster. I we had to sit around and wait for someone to build a 400Gbps physical layer we would still be two years away. Likewise, the physical limitations that we’re starting to see are important as well. I think the discussion with Ethan Banks (@ECBanks) at the every end, while short, was important. Mr. Bechtolsheim believes that 400Gbps is the end of the road for the current generation of fiber optics. Due to things like massive power consumption and the rising heat causing laser issues, it does sound like the next evolution in optical networking is going to come from silicon photonics. That’s going to lead to an entirely new way of thinking about data transmissions as well as a problem with backwards compatibility and interoperability with existing networks. No one ever said that creating the future was easy, and this shift will prove it. It’s not often that you get to hear someone like Andy Bechtolsheim tell you about the future of your business. 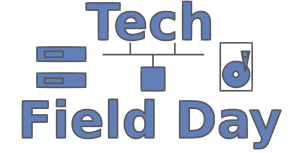 The discussion at Networking Field Day was just the way it should have been. Mr. Bechtolsheim laid out the advantages as well as the challenges and helped the audience understand why this technology was important. That’s the kind of briefing that you would do well to pay attention to when you see it. The future happens when people make it happen. And when it comes to 400Gbps Ethernet, the future appears to be getting here very soon. In the second to last paragraph “…Mr. Bechtolsheim believes that 400Gbps is the end of the road for the current generation of fiber optics.” I believe is inaccurate based on the discussion. I believe he indicated the electrical signal likely won’t exceed 112Gbps but I never hear him indicate 4x112Gbps is the tops in the discussion. I might have missed somewhere where the number of electrical lanes into the chassis is physically limited to 4 but I think at 8:35 in the video his slide shows 8x112Gbps electrical lanes becoming a thing in mid-2020. But super interesting video; thanks for posting! Thanks for pointing this out. Mr. Bechtolsheim does indeed talk about 8 lanes at ~100Gbps during the presentation. The photonics discussion afterwards was geared more toward speeds approaching 1Tbps.